The Ghetto Vaquero Chingo Bling is back with a new mixtape! This summer Chingo Bling has not only been in the studio preparing his latest mixtape 'Back to the Border' but he has also been keeping up with an aggressive tour schedule and weekly releases of his hilarious 'Wet Back Wednesday's' webisodes. Don Konstante has released a new album entitled 'Mundo Sin Dioses'. The album can be previewed in it's entirety and purchased under the 'name your price' model, here. 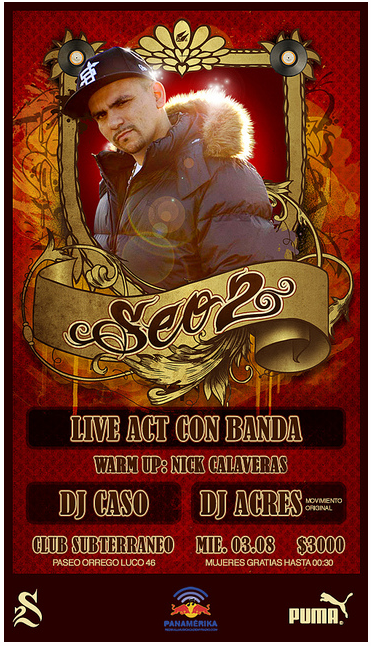 Seo2 is performing on Aug. 3, 2011 @ the Club Subterraneo in Santiago, Chile. 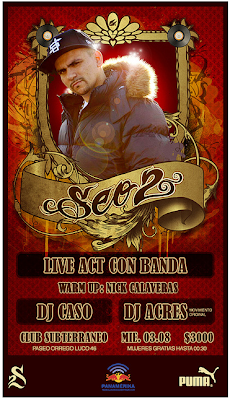 I thought the flyer was dope! 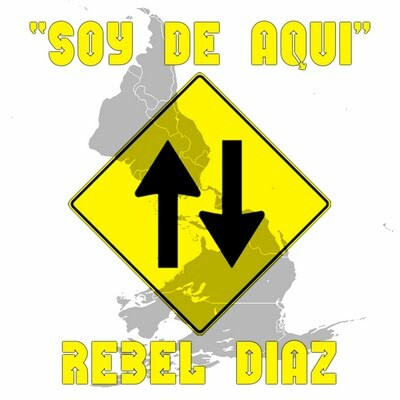 In promotion of their new album 'Radical Dilemma' Rebel Diaz has been releasing a new single every week via their Warrior Wednesday website. This is my favorite release of their's to date. Enjoy! 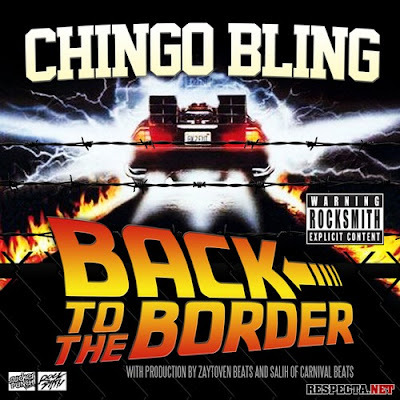 Chingo Bling is hilarious! 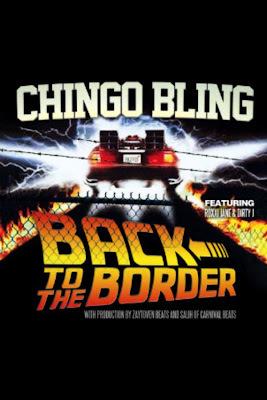 Be sure to subscribe directly to Chingo.TV in order to get his webisodes as soon as they are released. DJ Chele is back with another mixtape! The follow up to last year's noteworthy Conexiones Liricales Vol. 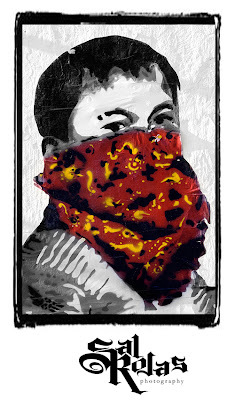 1 this latest edition to his mixtape series is a tribute to Hip-Hop from El Salvador. This mix is a virtual who's who of the Salvadorean Hip-Hop scene and continues DJ Chele's tradition of focusing on underground Latin Hip-Hop. Download Conexiones Liricales Vol. 2 here. Pitbull rocking the stage with his new artist Nayer. Thirstin Howl III with a new joint going back and forth with German emcees Mad Mic & Calibuz Wax. Gab Gotcha from the Wu Music Group is back with a new mixtape for the summer! 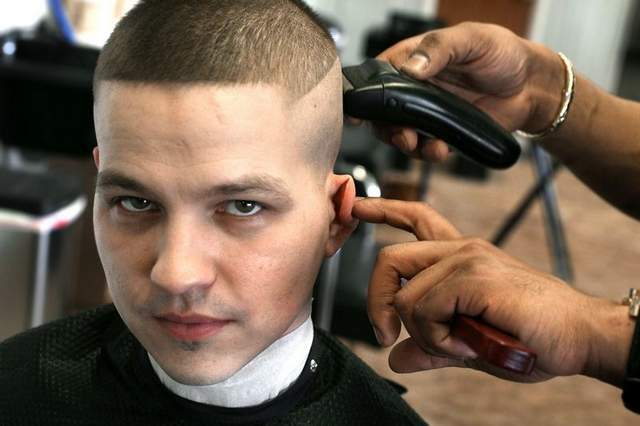 Long time Latin Hip-Hop/Reggaeton artist Guero Loco recently had a feature in the Indiana newspaper IndyStar, read it here. 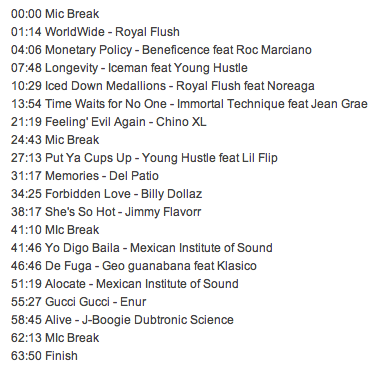 DJ Bazaroo is back with another Latin Hip-Hop mix, listen to it in it's entirety here. 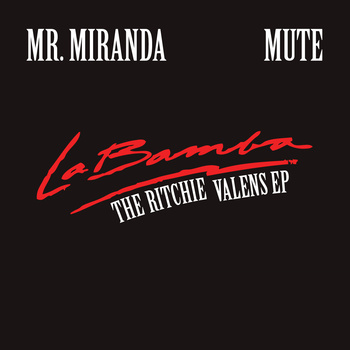 Mr. Miranda has put together a nice Latin Hip-Hop tribute to Ritchie Valens. The creativity and originality of the idea is awesome! And his delivery will keep you pushing replay. La reyna del Hip-Hop 'La Material' is hands down one of the most beautiful women in Latin Hip-Hop. This post is a photo tribute to her beauty and talent. SalRojas.com is home to the photography of the talented and entrepreneurial Sal Rojas. 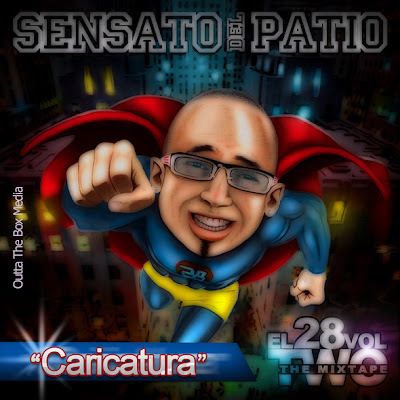 Sensato Del Patio is back with some heat for the summer! "Caricatura" is bangin'! Or why would I post it?! Fire! update...... the release can be downloaded for FREE here. Lito MC Cassidy is back with another banger! 58 bars of fire! Enjoy. The design of about.me is clean, functional and intuitive. This site is actually genius because one of the webs biggest eyesores to me, personally, is the endless amount of social networking sites people put in their signatures. But until about.me what else was an artist to do? 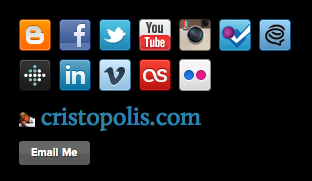 Now all of your social networking can be connected to your about.me profile and your signature can look much cleaner. I personally link my about.me profile to the text 'more..' in my signature. 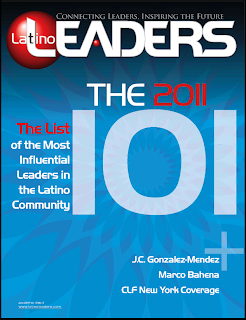 I just came across, read and subscribed to the 'Latino Leaders' magazine. I found them using my favorite digital magazine store Zinio, but you can also find them on Facebook, Twitter and Flickr. 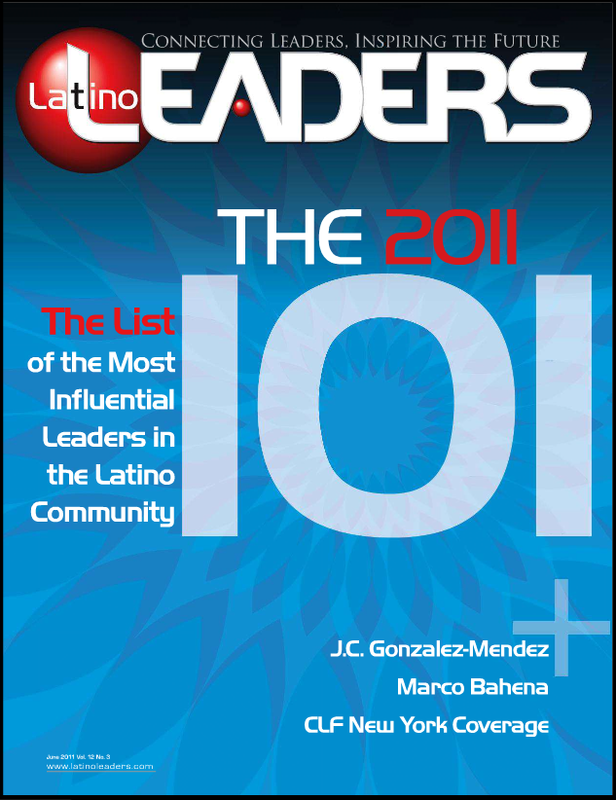 This is the first issue that I've ever read but the information is valuable for anyone who works within the Latino Entertainment industry. I came across the ad below, which is looking to purchase or lease what is basically an entire catalog of Latin Hip-Hop beats from a producer. This does seem to be a paid gig, so if you have 100 or so beats sitting in your hard drive you may want to apply, here. ¡OYE! is back with another banger! 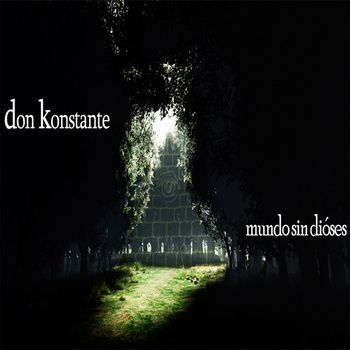 This track is an experience.....enjoy the ride! 'Grey Clouds (*hitmayng remix)' ft. Daveed Diggs. Free download of the track here. 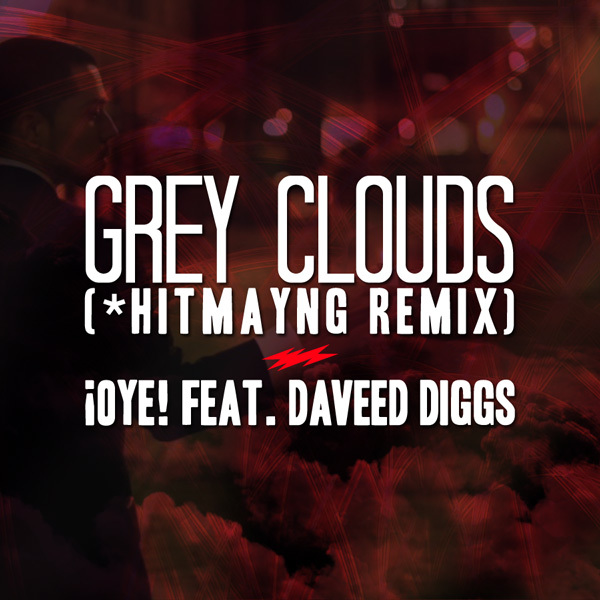 Grey Clouds (*hitmayng remix) ft Daveed Diggs by ¡OYE! 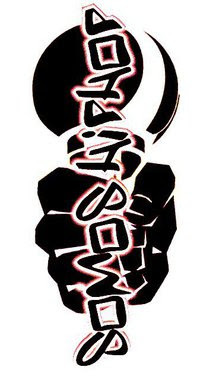 Somos Hip-Hop Radio has been a long standing pillar within the Latin Hip-Hop Community. 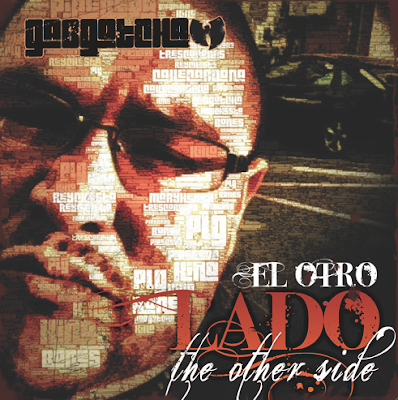 They have had a longstanding radio show, podcast and compilation album series focusing exclusively on Latin Hip-Hop. They are currently requesting the economic support of any and everyone to keep the radio show going. Please consider contributing.....even $1.00 would help. Somos Hip Hop RaDiO La Mejor Estacion de Hip Hop Latino! Raperos Suban su Musica para que sea Tocada en SHHR! 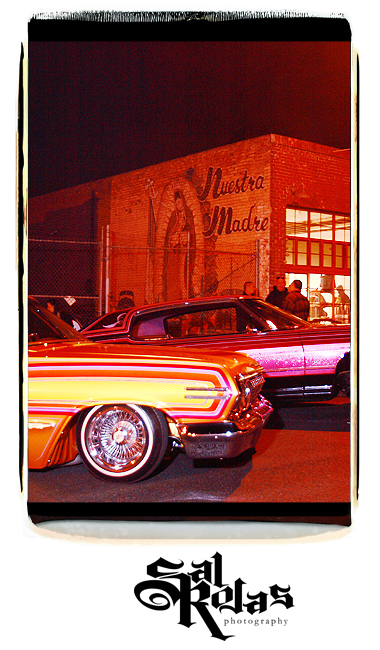 A message to all members of Somos Hip Hop RaDiO La Mejor Estacion de Hip Hop Latino! SALUDOS HIP HOPERS! COMO SE HABRAN DADO CUENTA LA RADIO DEJO DE SONAR DESDE HACE UNOS MESES DEBIDO A LOS ALTOS COSTOS DE LA RADIO Y AL POCO O NO EXISTENTE APOYO ECONOMICO POR PARTE DE RADIO ESCUCHAS Y RAPEROS EN GENERAL. SOMOS HIP HOP RADIO A LLEGADO AL MOMENTO EN QUE SI NO RECIBE AYUDA DE SUS ESCUCHAS Y ARTISTAS LOS CUALES TOCAMOS SU MUSICA Y APOYAMOS VAMOS A SER OBLIGADOS A CERRAR SUS PUERTAS DECIR ADIOS Y DESAPARECER. 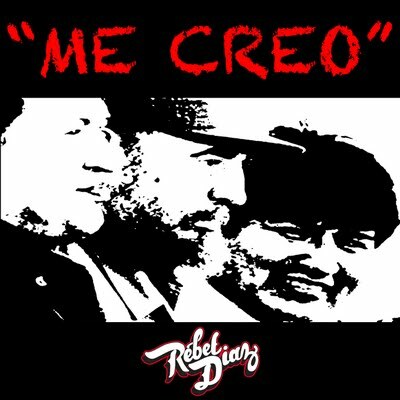 SI DESEAS QUE SOMOS HIP HOP RADIO SIGA SONANDO AYUDA CON UNA DONACION PARA PODER VOLVER A PONER LA RADIO, PARA PAGAR EL WEBSITE Y EL PODCAST Y ASI PODER SEGUIR BRINDANDO ESTA PLATAFORMA A LOS RAPEROS Y ESCUCHAS EN GENERAL. COLABORA CON $1.00 PARA PODER COSTEAR LOS GASTOS ATRASADOS Y DE ESTE MES, SI DESEAS COLABORAR CON MAS DALE AL SEGUNDO ENLACE! GRACIAS! 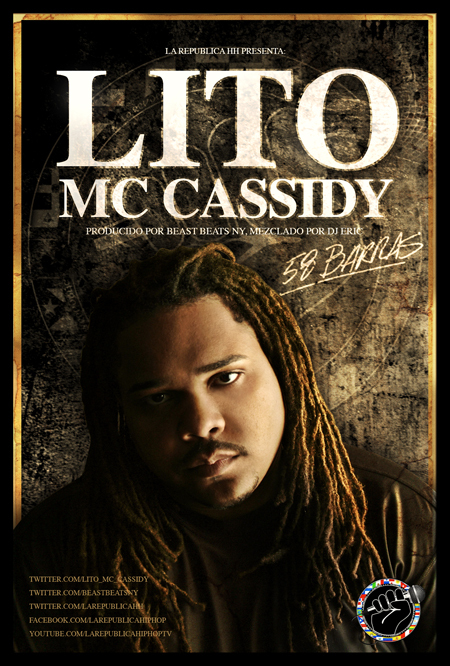 Thank you for supporting Somos Hip-Hop Radio! Political, relative, philosophical, and controversial......just in time for the 4th of July, new fire from Kemo the Blaxican. 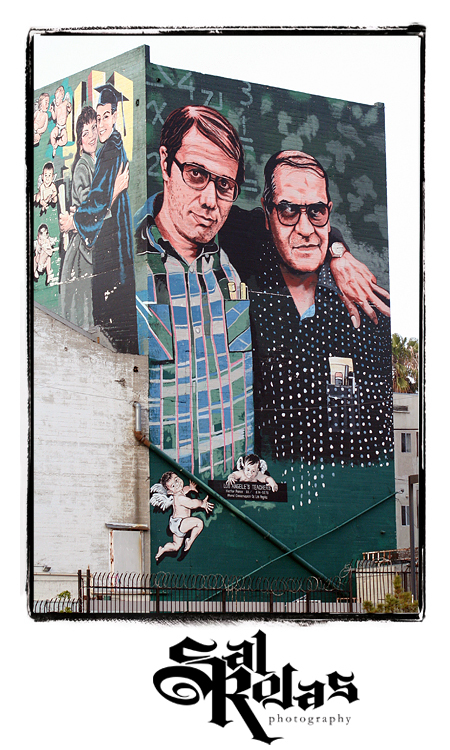 That's all that the various terms used to talk about the urban latino experience in multimedia are to me. 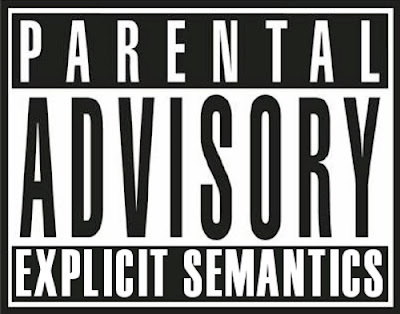 I've heard dozens of terms; Spanish Rap, Latin Rap, Hurban, Reggaeton, Latin Alternative, Rap en Español, Hip-Hop Latino, Chicano Rap, Afro-Latino, Merengue Hip-Hop, Urban Latino, Latino Hip-Hop, and of course Latin Hip-Hop. I believe that these terms are generally talking about the same experience, which itself has become so popular and diverse that it has developed into powerful and complex subcategories. The experience being addressed is that of Latinos from around the world adding, fusing, and remixing their cultural and colloquial identities with the influences of Hip-Hop.